Catanzaro ([katanˈdzaːro]; Ancient Greek: Κατανθέρος Katantheros, or Κατασταρίοι Λοκροί, Katastarioi Lokroi), also known as the city of the two seas, is an Italian city of 91,000 inhabitants (2013) and the capital of the Calabria region and of its province. 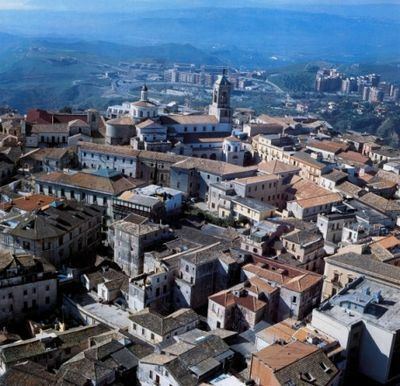 The archbishop's seat was the capital of the province of Calabria Ultra for over 200 years. It houses the University "Magna Græcia", the second largest University of Calabria. Catanzaro overlooks the Gulf of Squillace, in the Ionian Sea. The district of Catanzaro stretches from the sea to an elevation of 600 metres (2,000 ft). The historic center is approximately 300 metres (980 ft) above sea level. The town dates back to the valley of Fiumarella (formerly known as River Zaro). The Bishopric, St. Tryphon (or San Rocco) and St. John (or castle) marks the city's historical center and is connected to the North Sila. Due to its particular geography, the municipality gets wet from the sea, and is still subjected to a snowy winter. Catanzaro's rivers include the main stream of the Fiumarella (in local dialect Hjiumareddha), which joins with the river Musofalo, and the torrent Corach (formerly called Crotalo). The climate of Catanzaro is typically Mediterranean, temperate, and characterized by a windy spring and autumn. According to the 30-year average of 1961–90 reference, the average temperature of the coldest month, January, came to 8.9 °C (48 °F). The hottest month, August, is 24.5 °C (76 °F). The climate, as mentioned, is marked by the presence of wind, even high intensity, especially during spring and autumn. The annual average intensity is about 4 knots (4.6 mph) with peaks at 6 knots (6.9 mph). The months of April and May are characterized by strong winds and the "scirocco libeccio". The annual rainfall is around 1,000 millimetres (39 in), distributed in 87 days on average, with a long summer and a minimum peak in the autumn and winter. Certain assumptions trace the origin of Catanzaro to an ancient Greek colony, already in place, which became the land of Scolacium, believed to have been built on the ruins of the ancient city of Trischines. Other hypotheses identify Catanzaro's development to have grown from various settlements scattered in the area of Catanzaro, Marina, Tiriolo (formerly Teure), Santa Maria di Catanzaro, and on the hill Trivonà (Trischines, along the valley of Corach which formed the old "Land of Feaco"). The mouth of the river, according to legend, created the ancient Ulysses Skilletion. In the district of Germaneto along the valley of Corach, a Greek necropolis of the fifth century BC and an ancient Roman settlement were found. Archaeological discoveries show that the municipality was active since the Iron Ages, flourishing with the populations of "Vitulo", so called because they worship the statue of the calf, which the Greeks renamed "Italoi" (worshipers of the calf), and governed by the famous Italian king of the same name, brother of Dardanus and ancestor of the Trojans. Italy gets its name from this figure. According to another legend, Catanzaro was named after two Byzantine generals Cattaro and Zaro who led the coastal city of Magna Graecia Skilletion or Skillakion, corresponding to the Roman Scolacium (near Catanzaro's Marina), first on Zarapotamo (today Santa Maria di Catanzaro) and then later on Trivonà, a military fortress. Catanzaro was always choice land due to its safe, high location, and the territory was under several groups' control, including the Saracens, Normans, and Venetians. The Saracens were the first to push the town's development to its highest regions by the second half of the ninth century. Byzantine general Nikephoros Phokas was responsible for the naming of the "Rock of Niceforo". Catanzaro's development into a fortress town was established by General Flagizio, who began the construction of a citadel, which later assumed the name of Katantzárion. According to some assumptions, the name is inspired from the development of workshops for creating silk, what the Greeks call "Katartarioi" (Καταρτάριοι) (spinners of silk). At the beginning of the tenth century (circa 903), the Byzantine city was occupied by the Saracens, who founded an emirate and took the Arab name of قطنصار - QaTanSáar. An Arab presence is evidenced by findings at an eighth-century necropolis which had items with Arabic inscriptions. Around the year 1050, Catanzaro rebelled against Saracen dominance and returned to a brief period of Byzantine control. 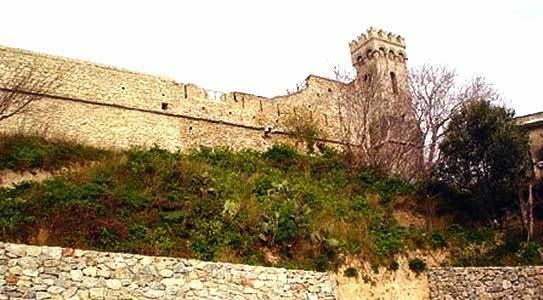 In 1069, Catanzaro was the last city in Calabria, after many months of resistance, to fall under siege by the Normans of Robert Guiscard, who built the Norman castle, still in existence today. During this era, arts and crafts pioneered, and particularly the processing of silk, which was traded with other regions in Italy, other countries and Eastern Europe. In the 13th century, Emperor Frederick II made Catanzaro a direct possession of the crown. Later the city was the household feud of the Ruffo, Caraffa and Soriano families. The Normans elevated Catanzaro into a noble county, giving it to Peter Ruffo. The latter was lost in a struggle against Manfred of Sicily, but he later returned to the city, when Charles I of Anjou signed the peace of the War of the Vespers. For fourteen years, it was the royal domain of King Ladislao of Naples, and in 1420 it was returned again to Nicholas Ruffo, who gave it as part of a dowry for his daughter Enrichetta who was married to Antonio Centelles. After a rebellion by the rural people, King Alfonso V of Aragon took control of the city. In 1460 there was a war with the partisans of Centelles. When peace returned, the city was granted new privileges which greatly promoted the development of its silk industry, for which its damasks were known throughout Europe. From this time forward, Catanzaro firmly established itself as an import center for its textile productions. In 1528 Charles V, Holy Roman Emperor gave authorization for Catanzaro to bear the imperial eagle attached to a coat of arms depicting the hill tops of the town. On 23 December 1961, at the Fiumarella viaduct near Catanzaro, there was a serious rail accident, when a train derailed and fell about 40 metres (131 ft) into the river below. Seventy-one passengers lost their lives on impact, and 28 others were injured to varying degrees. Catanzaro Bridge, a well-known, one-arch bridge (Viaduct Morandi-Bisantis)- one of the tallest in Europe. Duomo (Cathedral). Built over a Norman cathedral built in 1121, in the 16th century it received a Renaissance façade which was however destroyed in 1638. The church was almost entirely destroyed by the bombings of 1943, and was later rebuilt. Church of Sant'Omobono (11th or 12th century). Byzantine small church of Sant'Omobono (11th century). Chiesa dell'Osservanza, or Santa Teresa. In the interior is the 16th century Chapel of the Holy Sepulchre and a statue of "Madonna delle Grazie" by Antonello Gagini. Porta di S. Agostino and Porta di Stratò, two gates of which are the last remains of the medieval walls, demolished in 1805. Palazzo de' Nobili (15th century), now Town Hall. Piazza Grimaldi, a town square named in honor of the House of Grimaldi, who had branches that traded heavily within Catanzaro. Renato Dulbecco: Nobel prize winner. Mimmo Rotella: contemporary artist and inventor of the Decollage. Filippo De Nobili: writer, poet, librarian, historian anti-fascist and anti-monarchist. 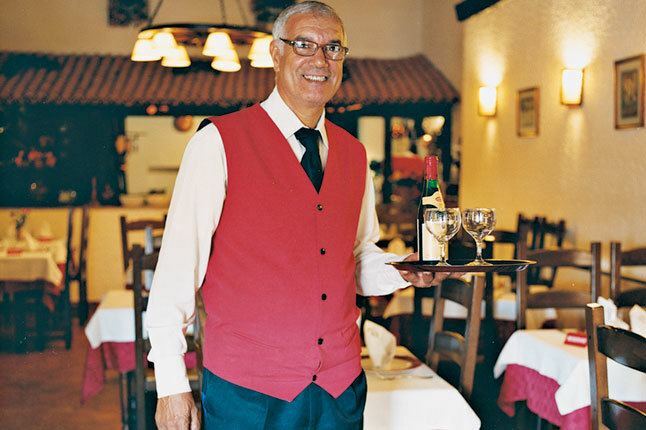 Catanzaro's current economy is mostly based on tertiary and services. Industries are mostly medium and small-size companies working within a local market. Catanzaro is served by the SS106 Jonica state road which connects it to the A3 Highway. In the city centre is a line with three stations. A metropolitan service (with c. 1,600,000 users per year, with 20 trains working) is provided by Ferrovie della Calabria, with a total of 11 railway stations in the city, plus others in 12 comuni of the hinterland. The rest of the public transportation system is based on 49 bus lines of AMC (Azienda per la Mobilità Catanzaro). The city counts two main railway stations: Catanzaro and Catanzaro Lido. Lega Pro club U.S. Catanzaro 1929 represents the city of Catanzaro in association football. They play their home fixtures at the Stadio Nicola Ceravolo.